Luxembourg’s all-cargo carrier has commenced flights between their Chinese hub Zhengzhou (CGO) and Atlanta (ATL). This way, the city becomes CV’s second U.S. destination, after Chicago, to be served from Zhengzhou. The flight is operated weekly, originating and ending at Cargolux’s home base Findel Airport, routing to Zhengzhou – Atlanta – Chicago – Zhengzhou – Luxembourg. Beginning tomorrow (4 July) the ATL service will be complemented by a second round-the-world flight: LUX-CGO-ORD-ATL-LUX. Optionally, Boeing 747-400 freighters or B747-8Fs will be operated on either route. In addition to this, Cargolux connects Zhengzhou and Chicago with nonstop flights thrice weekly. The new ATL services cement Cargolux’s strong position in China and on transpacific trade lanes, reads a company release. Demand on Cargolux’s Zhengzhou flights is exceptionally strong, fueled in part by growth in e-commerce, states the airline. Demand from Asia to the Americas is also boosted by growing markets in Brazil and Mexico that are mainly served via North America. The Hong Kong-based agent has launched a weekly scheduled Less Than Container Load (LCL) rail freight service between Duisburg, Germany and Shanghai via the Yiwu terminal in the Yangtze River Delta. The new rail connection complements Kerry’s existing Full Container Load (FCL) and LCL services, offering transit times of 16 days westbound and 21 days eastbound. The rail freight product is part of the agent’s end-to-end freight management service, which includes storage, quality control, assembly, and reworking in addition to the pre-carriage and delivery to final destination. DHL Supply Chain has opened a new Life Sciences facility at Dublin Airport, thus extending its global end-to-end pharmaceutical supply chain capability. The new warehouse, comprising 3,700 sqm, is located near Dublin Airport and is fully approved by Ireland’s Health Products Regulatory Authority (HPRA). 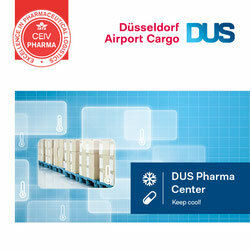 The new DHL logistics center will allow pharmaceutical companies manufacturing in Ireland to enjoy fully compliant temperature controlled end-to-end supply chain management including: storage, pick & pack and inventory control. Segregated into different temperature zones, the site offers a range of storage environments including: ambient (15 - 25 degrees); chill (2-8 degrees); and a blast & holding freezer capable of temperatures of -20 degrees centigrade. 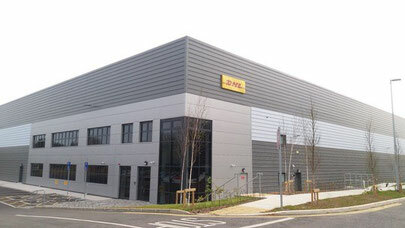 The new facility makes Ireland the 43rd country in which DHL has established a Life Sciences Center of Excellence, offering full access and integration with DHL’s temperature controlled transport services by road, air, ocean and express. Located close to European markets, nine out of ten of the top global pharmaceutical companies and nine out of the top ten biopharmaceutical companies have already chosen Ireland as their manufacturing site. The idea of travelling and experiencing new places and cultures has become a reality for many people in Europe during the past 25 years, the Bulc statement reads. It is supported by quotes from several aviation executives like Brussels Airport’s Arnaud Feist, Lufthansa’s Carsten Spohr or Air France-KLM’s CEO Jean-Marc Janaillac, to name just a few. As part of its global expansion, the Ukraine-based freight carrier has chosen Air Cargo Partners Worldwide (ACP) to become its General Sales Agent in Australia. The company runs five offices in Melbourne, Sydney, Perth, Brisbane and Auckland, NZ. “ACP Worldwide was chosen as GSA due to its ten years’ experience working in the heavy lift industry and its extensive experience in dealing with AN-124s. 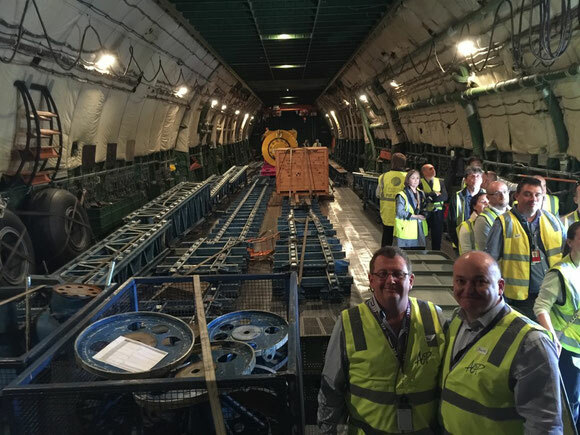 They have supported us on a number of occasions in the past and have put forward a compelling plan to take us forward in the Australian market,” stated Martin Griffiths, Commercial Manager, Antonov Airlines UK, on the occasion. ACP Worldwide’s team of twenty five-plus cargo professionals has over twenty years’ experience in the Australian and New Zealand market. The GSA specializes in a variety of industries, including oil and gas, mining, construction, pharmaceuticals, automotive, technology and transport. 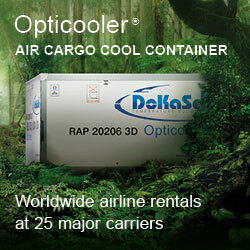 American Airlines Cargo runs a new cool facility at London Heathrow, comprising 160 sqm. It is a testament to the carrier’s commitment to temp controlled healthcare shipments, AA Cargo points out in an announcement. The warehouse is completely monitored and equipped with alarm devices, where the standard operating temperature will be set to maintain passive products at +15°C to +25°C. Euro Scan software is used to monitor precise temperatures within the facility, which will provide real-time information to the American operations team, and will be used for reporting purposes. The new facility will be of significant value to customers moving specialist pharma traffic between Europe and the U.S., AA expects. As the second largest carrier from LHR across the North Atlantic, AA operates up to 20 daily frequencies of passenger flights to the United States offering ample space for air freight in the holds of the aircraft. Sebastiaan, who is CEO of Jan de Rijk Logistics based in the Netherlands, also announced that CCA’s board has been extended by two further members: Gerton Hulsman, managing director of Dusseldorf Airport Cargo and Fabrizio Iacobacci, Head of Pharma Business Development at Bcube Air Cargo. Henk Venema, SVP and Global Head of Network Carrier Management at DHL Global Forwarding, has been named the new chairman of the Cargo iQ Membership Board. 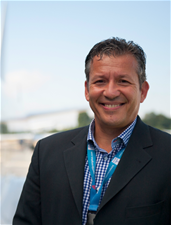 The manager who has over 15 years of experience in air freight, takes over from Max Sauberschwarz, VP and Global Head of Carrier and Gateway Air Logistics at Kuehne + Nagel, who chaired the IATA interest group from 2013. 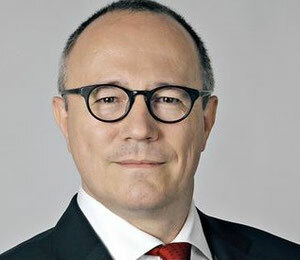 Kester Meijer, Director Operational Integrity, Compliance & Safety - ISCM, Air France KLM Cargo, will continue to support the group as its Vice Chairman. Sauberschwarz will also continue to serve on the Board. “It is an enormous accomplishment that Cargo iQ can count so many great industry leaders amongst its board members,” commented Ariaen Zimmerman, Executive Director, Cargo iQ. 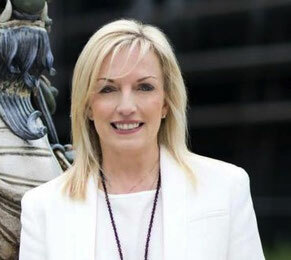 Australia Post has announced the appointment of Christine Holgate as managing director and Group CEO, succeeding Ahmed Fahour who stepped down from the post last week. Holgate will start in the role in October, joining Australia Post from a nine-year stint as CEO of Blackmores, a manufacturer and distributor of vitamins, minerals and nutritional supplements. Australia Post’s group chief customer officer, Christine Corbett, will lead the business through the CEO transition period until Holgate’s arrival in October. Christiane Bruening has been nominated Head of Corporate Communications at Hellmann Woldwide Logistics. 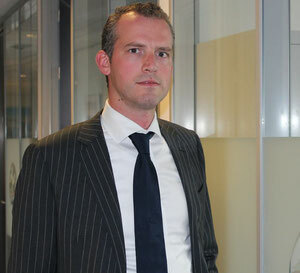 The 36 year-old has many years of experience in strategic corporate and financial communications. 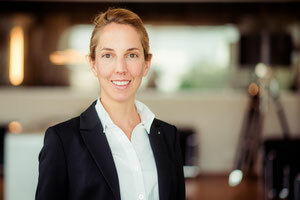 In recent years, Christiane has headed the PR and investor relations department at Lloyd Fonds AG in Hamburg. Prior to this, Mrs Bruening was an advisor to various companies based in the logistics sector and as a communications consultant to the Board of the Bank of Scotland in London. "With Christiane Bruening, we have been able to win an experienced communication expert, who will in particular expand our strategic corporate communications," lauded Thomas Knecht, Spokesman of the Board of Management at Hellmann.